For the past several months, Donor Advised Funds (DAFs) have been the subject of considerable negative press. And by association community foundations have been drawn into the discussion. Questions about DAFs have been raised in some quarters for many years, especially since financial services providers such as Fidelity and Schwab (and many more) started providing DAFs through the charitable arms of their business. This led to an incredible increase in the number of DAFs and the dollars flowing into them. DAFs are funds into which gifts are made and the donor (the donor advisor) can then, over time, recommend grants to nonprofits. The attractiveness of DAFs varies by circumstance. A common instance is when someone is facing a taxable event (sale of a business or real estate, selling highly appreciated stock, etc.) and wants to set funds aside for charitable giving, but doesn’t want to feel pressed to decide the end beneficiary(s) at the time they establish the DAF. Part of the popularity of DAFs is that the “sponsoring organization” (the CFMC) accepts gifts of many types, liquidates and invests them, then provides grant management. Community foundations go even further by providing personal services for donor advisors, including researching organizations, scheduling site visits and connecting them to emerging needs in the community. As our donor advisors know, the CFMC sends digests of grant applications to our discretionary grant programs to donor advisors, not only bringing them new information but inviting them to co-invest. DAFs differ from private/family foundations in a couple of important ways, mostly distinguished by the fact that DAFs are not their own legal entity. DAFs have no requirement to submit a tax return, as they are included in the sponsoring organization’s 990. DAFs don’t have boards of directors. They offer a much more streamlined, less cumbersome approach to philanthropy that is very attractive. And DAFs don’t have a payout requirement. There’s the rub. Critics say the lack of a payout requirement, combined with not filing a tax return that would list the fund balance and activity, allows donors to plunk money into DAFs without any accountability or transparency. They often negatively compare DAFs to private foundations, citing their 5% mandated annual payout requirement. This was put in place through the 1969 tax act and it was meant to increase granting from private foundations, as it was suspected that too many were not granting a high enough percentage of their assets to justify the tax deduction donors received when they funded their foundations. The unintended consequence of this legislation is that instead of encouraging more grant making, it created a default ceiling. It is hard to find private foundations that grant more than 5% (additionally, certain operating/programming costs can also be charged against the 5%). Many private foundations pay fees to their board members, something that doesn’t happen with DAFs. These observations aren’t meant to criticize private foundations. As any of us in the philanthropic world know, private foundations have contributed mightily to our communities. My point goes to the complexity: to simply say DAFs should operate like private foundations is not a solution that is beneficial to anyone. My experience with DAFs is based on creating close relationships with donor advisors, working hard to be their philanthropic partner. 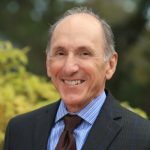 In the aftermath of the arson at the Food Bank for Monterey County, these relationships – and trust in the CFMC – gave me the confidence to reach out to our fund holders in support of the Food Bank. They immediately responded. Combined with a $50,000 grant from our unrestricted funds, within two weeks we sent the Food Bank more than $325,000. Some suggest we’re not motivated to make grants, as a significant portion of our operating income comes from the fees charged on funds. This equation suggests that more grants mean lower balances and therefore lower operating income. Here’s some evidence. Through a series of conversations with some of our donor advisors who long ago started endowed donor advised funds (permanent funds that have a fixed payout rate for grantmaking), some stated a desire to have access to the grant capital. If someone had a $100,000 endowed fund, they could grant about $5,000 a year. So we offered these donor advisors the opportunity to convert their endowed DAFs to non-endowed, essentially giving them the ability to grant any or all of the fund. Not only does this fly in the face of the claim that we’re a hoarder, it might make me look like a business knucklehead. But here’s what happened. Showdowns rarely end well. The harder one side digs in, the more the other is going to wonder what there is to hide. I’m not opposed to intelligent approaches that reassure critics and policymakers the system is not being abused, that the “price” the public is paying through tax deductions for charitable giving is being commensurately rewarded. 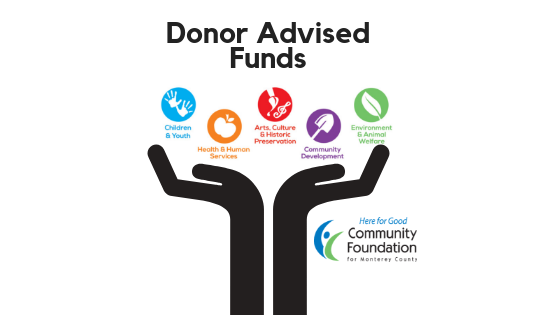 However, let’s start the conversation acknowledging the remarkable benefits donor advised funds have brought to our communities, then discuss ways DAFs can create even more impact.